Hurt on the Job in NJ and Wondering How You Will Pay the Bills and Support Your Family? Then Listen to This Episode to Find Out How to Preserve Your Financial Freedom While You Recover! Many Americans live from paycheck to paycheck, often without a budget. Even those with savings can’t withstand long periods of time without any income. Therefore, job loss or a disability can be a major threat to someone’s financial freedom. The good news is that, if you were disabled due to a job related injury, New Jersey law provides you with benefits that can ease the economic strain of being out of work. 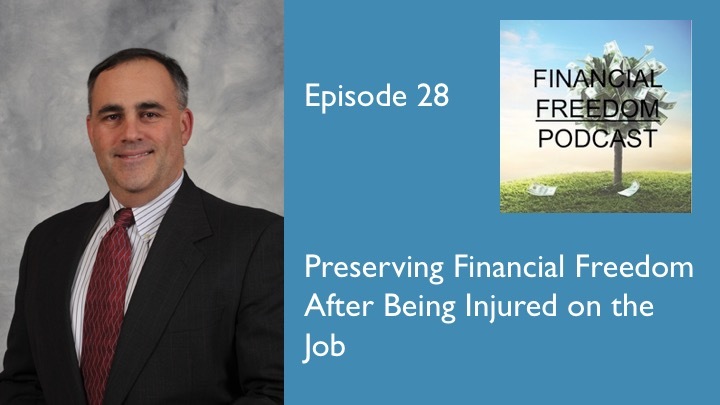 To discuss the details of this law, I interview worker’s compensation attorney Sam Gaylord about what you can do to protect this freedom if you get injured on the job.